Late Joiner Penalties for Medical Aids Can Be Unreasonable So Join Now! Aren’t Medical Aid Late Joiner Penalties Unreasonable? Are medical aid late joiner penalties unreasonable? Late Joiner Penalities – a Money Making Racket? It angers South Africans no end that late joiner fees appear to be a money-making racket. Yes, its true – membership of an overseas medical aid doesn’t count as credible coverage. Even if you have the documentation to prove you’ve been a member of a legitimate medical aid while overseas, medical schemes do not regard this as legitimate cover. The medical aid in South Africa will slap you with a late-joiner penalty if the applicant is older than 35. To ensurecoverage is considered, late joiners need to provide membership certificates that they received from their previous schemes. These will serve as confirmation of their membership. The question is, why do South African medical aids not consider overseas medical aid as credible? The late joiner penalty is a percentage of the applicant’s basic contribution which the medical aid adds to the premium. It also takes the applicant’s age into account. The crux of the matter is – the longer you have been without medical aid, the higher the penalty will be. 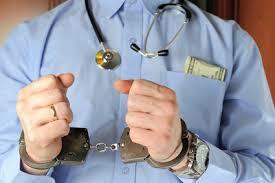 The penalty applies to all types of medical aid plans, including hospital plans. Medical aid schemes are flexible with these fees and each one decides whether they will apply the late-joiner fee. A scheme can decide on a lower or higher penalty or waive it completely. People always think that late joiner penalties with a medical aid apply to older people who once belonged to a medical aid and now want to join again. South Africans need to know that there is a penalty too if you join a medical aid for the first time after you turn 35 years of age. Yes, the medical aid can’t refuse to take you on as a member, but they can impose a late joiner penalty. The Medical Schemes Act imposes a late-joiner penalty if the person applying has never had a medical aid and is now older than 35. The longer the applicant chose to be without medical aid, the higher the penalty will be. As we’ve said, the longer you’re overseas, as a returning South African, your medical aid membership abroad will count for nothing. This can have a dramatic effect on those South Africans who have been working overseas for a long time and are looking for affordable medical care back home. Another thing to remember is that if you have been on your parents’ medical scheme, the medical scheme industry counts you as a member only after you have reached the age of 21. These later joiner fees are there to make up for those increased claims by people who only join a medical scheme when they’re old or have a serious illness. They are actually governed by Regulation 13 of the Medical Schemes Act. It is better to rather join a medical aid early. To avoid having this additional expense, join while you are young and healthy. There are so many questions that people have regarding medical aids, and Selfmed is one of South Africa’s best medical aids in terms of trying to make medical aid as simple and convenient as possible. ← Must I accept Medical Aid Limitations?